In Field of Valor, the stakes are higher than ever. The President requests former Marine Logan West (a character much like the author!) to form a covert task force with the mission to dismantle a nameless enemy. Logan and his task force pursue the elusive foe from the woods of northern Virginia to the banks of the Chesapeake Bay, from suburban Maryland across the urban sprawl of Washington DC. It’s as fast paced and un-put-downable as the first two in the series, Overwatch and Oath of Honor. 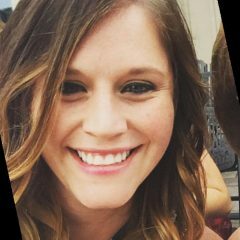 We’ve had plenty of experience running AdBiblio thriller campaigns (just ask Karli, the AdBiblio Senior Campaign Strategist. She is chock-full of read-alike knowledge!). 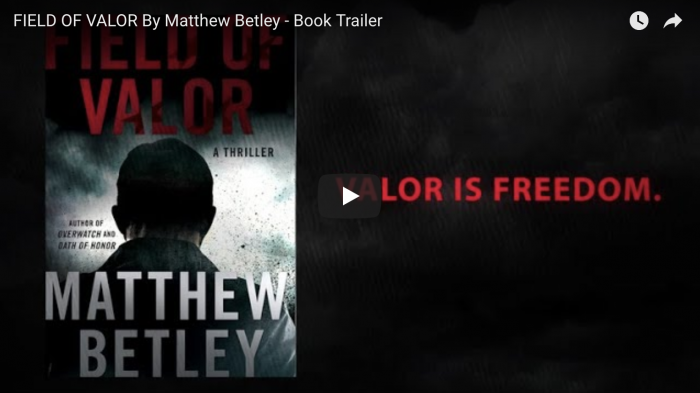 We knew exactly what niche targeting we wanted to include for a book like Field of Valor. For starters, we aimed to reach readers with a strong interest in military and political thrillers, action adventure thrillers, U.S. military news readers, and fans of similar authors like Vince Flynn, Brad Thor, Tom Clancy, Ted Bell, and Matthew Reilly. In addition to the TV shows we included like Quantico, The Americans and Homeland, the publisher also had a specific goal of reaching fans of TV and movies like Fast and the Furious, Mission Impossible, Deadpool, Agents of S.H.I.E.L.D, and Archer. They also hoped to reach Audible listeners and audiobook buyers / listeners as well, which we were happy to do! Mystery, Thriller and Suspense books are one of the top sold genres of audiobooks, according to Statista. 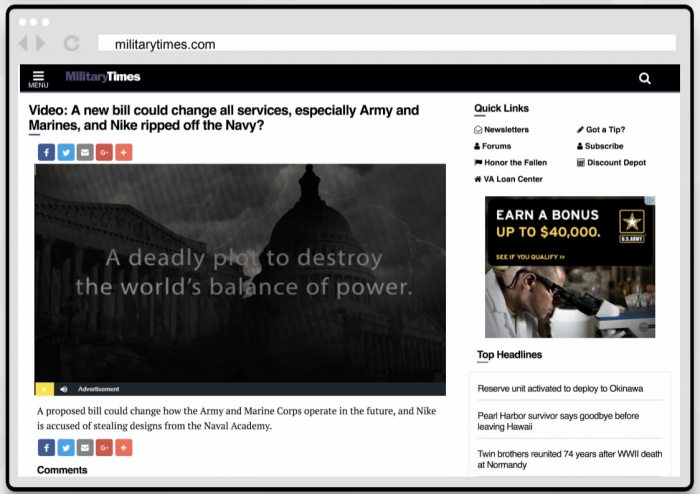 The top performing traits from the campaign included political thriller book buyers (.73% CTR), audiobook listeners (1.05% CTR), and those with a strong interest in reading political / military news (.57% CTR). We also found that readers with careers in the military and government also highly interacted with the book, at a 1.07% CTR. In particular, hitting readers again with the video, as well as reaching those who interacted with similar books, played a big role in this campaign – our retargeting ended with an incredibly impressive 4.4% CTR! 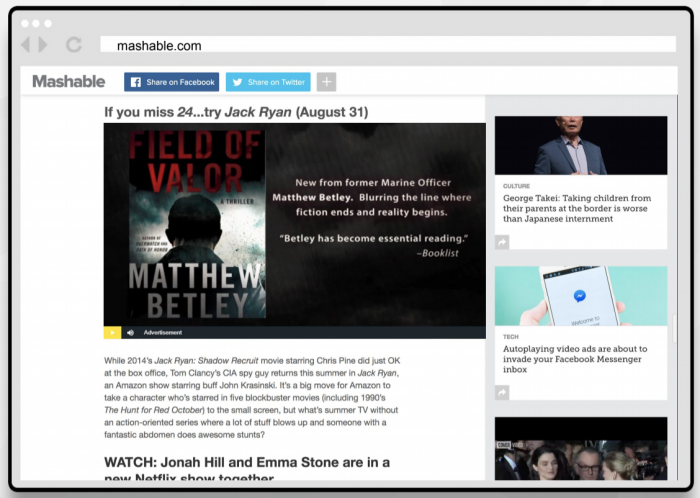 The video ended with a .73% CTR, and played on top sites including Forbes, NY Times, AV Club, Military Times, GQ, Washington Post, Mashable, Rolling Stone, Politico, and more. 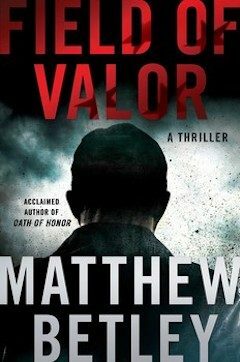 If you love thrillers, be sure to check out the book and trailer forField of Valor, or you can start from the beginning with Overwatch! And if you have a pre-roll video or thriller you’re ready to promote, you know where to find me → marybeth@adbiblio.com.